This serie of products allows to integrate a Modbus network with a Modbus ASCII net. On Modbus side, it is possible to use Modbus RTU or Modbus TCP protocol. 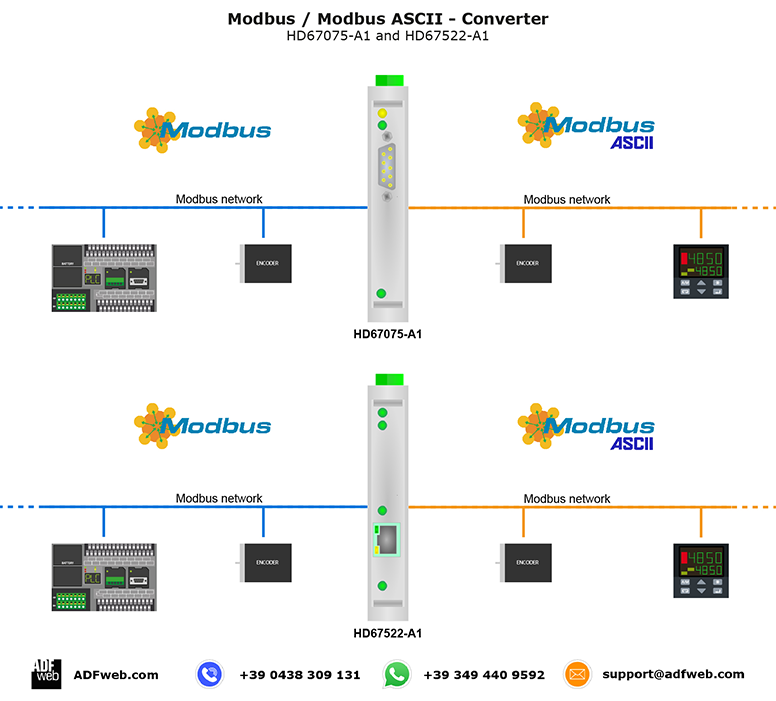 The HD67075 is a Modbus RTU / Modbus ASCII Converter and it allows you to connect a Modbus RTU network with a Modbus ASCII network in order to exchange the informations between the networks. The HD67522 is a Modbus TCP / Modbus ASCII Converter and it allows you to connect a Modbus TCP network with a Modbus ASCII network in order to exchange the informations between the networks.